We are frequently asked the questions, are lead pipes safe and the importance of undertaking lead pipe replacement work! Basically, the answers are NO lead pipes are not safe, and YES it’s extremely important to check if you have lead pipework in your home or commercial property, and if you do get it replaced. There is a lead pipe replacement scheme available. Get in touch to see if you are eligible. Water companies in England and Wales are regulated by the DWI. Among other things they are responsible to ensure that all water companies supply you with safe drinking water– which is lead free. Check out their website for further information. Water companies cannot however be responsible for the water after it leaves the service pipeline – the point at which the water supply meets the supply pipe to your property / home. At this point it is your responsibility to ensure that the pipework is fit for purpose and maintained. The DWI and water companies advise that property owners replace all lead pipes with new copper or plastic pipes, which have been approved for use where drinking water is provided. There is a definite risk to health, especially in the very young, where water is supplied through lead pipes. The possibility of water contamination is very real and should not be ignored. If you are unsure if you have lead pipes, then give us a call and we can advise you on what to do next. 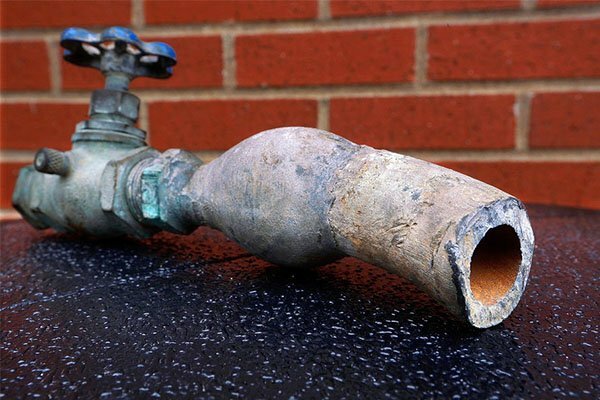 Check out our recent blog on The Importance of Replacement Water Mains which explains things to look for when checking if you have lead pipes. Call us today to discuss lead pipe replacement. At Pipeline Services it is our mission to help as many home owners and commercial property owners as possible to have lead pipe replacement work carried out. It is important to assess all pipework to find out if lead pipe replacement is necessary in the property. Lead pipes should be checked regularly, and lead pipe repair work should never be left untreated. If you’re unsure and don’t want to take any risks, then give the team at Pipeline Services a call 0800 808 5526 and we’ll arrange an assessment with you to clarify if you do need lead pipe replacement or lead pipe repair. Pipeline Services are a leading specialist contractor for the domestic, commercial and industrial market. Based in Manchester, we specialise in all aspects of lead pipe repair and lead pipe replacement work. Our team are highly skilled, and we operate to guidelines set by industry regulators. No client is too big or too small. Professional and Qualified to ensure you get the very best support and service - Our industry accreditations speak for themselves. If there was one thing we could change instantly at Pipeline Services it would be the removal of all lead pipes in all domestic, commercial and industrial properties in the UK! The use of lead in pipework was banned in 1969 – and with good reason. Known health risks being one of the major factors.Why would anyone risk their health, and the health of their family? Lead from the pipes can dissolve into the water supply to your home, which can be extremely harmful if it builds up the lead toxin levels in your body. It can also affect the development of babies and young children. Most people bury their head in the sand due to fear of the cost implications, disruption to their homes and family life. It isn’t as expensive as people think, and it won’t cause any unnecessary disruption or damage to your garden, patios or driveways. Get in touch with our team today and talk to us about the affordability of lead pipe replacement work. You may even fall under the lead replacement scheme guidelines! We can talk you through this, and everything you need to know about why we advocate every home has lead pipe replacement work. If you know you have lead pipes, then it is imperative that you have them checked regularly and seriously consider having lead pipe replacement work undertaken. The cost does not have to be prohibitive with our innovative trenchless techniques. Pipeline Services are accredited contractors, offering a professional service for all your domestic, commercial and industrial projects. We are based in Manchester and offer 24/7 nationwide cover. Our highly qualified engineers have vast experience in all aspects lead pipe repair, service and replacement. We operate to industry regulated guidelines and are fully insured. Our industry accreditations speak for themselves. Lead has been around since ancient times- the exact year of discovery isn’t known! The Anglo-Saxon word for lead is ‘plumbum’ meaning liquid silver. From its discovery it’s been used in everything from plumbing, car batteries, electronics etc. Whilst still used in many products that we use daily, the use of lead for piping was banned from use in 1969. Exposure to even small amounts of lead over a long period of time is known as ‘chronic toxicity’. Lead is a toxin that gets into a person’s system and it is then distributed throughout the body – but unlike helpful minerals such as iron, calcium, zinc etc. lead accumulates in the soft tissues and bones acting as a neurotoxin that damages the nervous system. At Pipeline Services we keep on shouting about this because there are still homes and commercial properties built pre-1970 that have lead piping. It’s imperative that everyone is aware that lead pipe replacement is necessary. Without having the lead pipe replacement work undertaken every day the risk increases (however small) that your water supply will continue to contain lead and put a greater risk on your health. If you are unsure if your home or property still has the old lead piping, then contact us to discuss this with us. We can help you understand and assess if your property still has the old lead piping. We can advise on all lead pipe replacement work, the cost and what’s involved to you and your property in getting this carried out. For whatever reason you aren’t in a position to carry our lead pipe replacement, we strongly advise that regular checks are carried out on all your lead piping. Lead pipe maintenance / repairs should never be left untended. Pipeline Services are a leading specialist contractor for the domestic, commercial and industrial market. We offer nationwide support 24/7, and we specialise in all aspects of lead pipe repair, lead pipe replacement and can assist you in obtaining access to the lead replacement scheme. Our team are highly skilled, and we operate to guidelines set by industry regulators. Our industry accreditations speak for themselves. Lead pipe replacement cost doesn’t have to break the bank! We can help support you tap into the ‘lead pipe replacement scheme’. Our experts are on hand to help advise if you have a viable claim, and to help complete the lead pipe replacement scheme paperwork. With new trenchless technology, lead pipe replacement costs can be kept to a minimum, and completed within a short period of time. Today the old lead pipes will be replaced with Copper or PVC water pipes, which are relatively non-toxic. These substances are far less corrosive than lead, and invariably will last much longer. In some cases, for half a century or more. The property owner at Rutland Road contacted Pipeline Services as he was having a new extension to his property. He was concerned about the old lead supply, and had heard that we specialised in lead pipe replacement. Throughout the process of the extension planning and build, our engineers worked with the property owner and builder to ensure that everything ran smoothly. The new lead pipe replacement supply pipe was relocated to the extension using impact moling techniques. The new water supply pipe replacement was connected and commissioned within one day on site, and with minimal disruption. The customer now benefits from an upgraded 25 mm MDPE supply (medium-density polyethylene), peace of mind and healthier drinking water. If in doubt give us a call – T. 0800 808 5526. Pipeline Services offer a professional service for all your domestic, commercial and industrial projects. We are based in Manchester but can offer a nationwide service. Our highly qualified engineers have vast experience in all aspects of water supply pipe replacement, water main repair, lead pipe replacement and investigation work. Pipeline Services operate to guidelines set by industry regulators. Our industry accreditations speak for themselves. Do you know if your property still has the original lead pipework? Do you hold off doing anything about its replacement because you’re unsure of the actual lead pipe replacement cost? It’s going to be extortionate right? WRONG – it doesn’t have to be. Oscar Wilde famously quoted “A cynic is a man who knows the price of everything but the value of nothing”. We’re not having a dig! In today’s economy we understand that disposable income is tight, and other things must take priority. What we are asking is that you don’t rule out lead pipe replacement based solely on cost. The specialist team at Pipeline Services can actually HELP! 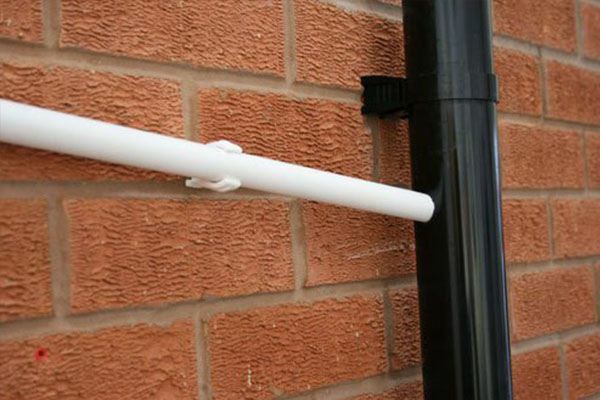 We can help you access funds from the ‘lead pipe replacement scheme’. We want you to look at the cost implications in relation to your health and well-being. Give the team a call on 0800 808 5526. We can help you to complete the lead pipe replacement scheme forms and provide a risk assessment for lead contamination in your home. Together with the new trenchless technology, which reduces the number of man hours needed to complete the lead pipe replacement, costs have never been lower. While the need for replacement has never been higher! Did you know ~ domestic and commercial property built prior to 1970 were probably built using lead pipes! Drinking water can be contaminated and can have a long-term adverse effect on your health, especially to pregnant women and young children under 6. The property owner called us because he was experiencing low water flow to the property, and was concerned about the lead toxicity levels in the drinking water. Using impact moling techniques the new water supply pipe replacement was connected and commissioned in just one day! The customer now benefits from a modern 25 mm MDPE supply, and is thrilled with the results. Qualified engineers have extensive experience in all aspects of water supply pipe replacement, water main repair, lead pipe replacement and investigation work. Pipeline Services operate to guidelines set by industry regulators. Our industry accreditations speak for themselves. We pride ourselves on our attention to detail, and our level of customer satisfaction. Doing a good job just isn’t ‘good’ enough. It’s extremely important to us that every customer receives the very best possible outcome. Our extensive knowledge of water mains replacement and lead pipe replacement is something we find fascinating – it’s why we do what we do! We know as a customer you’re just looking for a solution! We won’t bore you with technical jargon, and variable outcomes. After our on-site assessment you’ll receive a full report, in plain English, explaining the water mains replacement issues, and if there is a need for lead pipe replacement. Our team are fully qualified. We have extensive knowledge and experience in all aspects of lead pipe replacement, and water mains replacement. We can advise you on the best upgrade and most cost-effective solution, for your old lead pipe and your water mains replacement. We were contacted by Mr Jones after a conversation with United Utilities. The property was an old Manor House, and had very poor water supply / flow. After our initial telephone conversation, we arranged a site visit to ascertain exactly what the problem was. On investigation we quickly established that the property was supplied by old common supply pipes, which were also shared. The pipes were also lead pipes, which exacerbated the problems. After our visit, Pipeline Services provided a full written quotation. We explained in detail that he would need water mains replacement to the house, and lead pipe replacement work undertaking. Once this was completed the water supply would be greatly improved, and he would be able to fit the new central heating system. We use the latest trenchless technology, and using pneumatic power we can accurately bore channels with no need for large scale excavation. It enables us to carry out water mains replacement with minimal disturbance to driveways, gardens and patios. During the whole process we kept Mr Jones and United Utilities informed. We also assisted with United Utilities to secure acceptance for the Lead Replacement Scheme. All the work was scheduled and completed on time. Whilst several challenges did arise (including poor ground conditions), they were overcome efficiently and professionally by our WIAPS engineers. Pipeline Services are a leading specialist contractor for the domestic, commercial and industrial market. 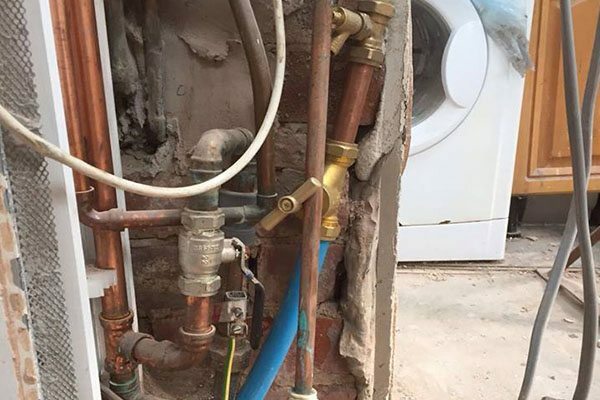 Based in Manchester, we specialise in all aspects of water mains replacement, replacement of water pipes, lead pipe replacement and investigation work. Our team are highly skilled and we operate to guidelines set by industry regulators. Our industry accreditations speak for themselves. Even with the property market’s ups and downs, property itself is still a sound investment in many areas of the UK. Many buy to let investors convert single properties into multiple, self-contained dwellings. This can have an impact on the demands on the water supply, which should mean including replacement water mains as an essential part of the redevelopment work. Are You Confident in Your Pipes? Clearly, for property investors, the bottom line will be key and they want to maximise the return on their investment. This may then put them off wanting to invest in certain aspects of the property’s utilities, such as the water supply. But in the long-run, it makes sense to look at the less glamorous, behind-the-scenes elements. The cheaper option is to simply arrange for the new tenants in your split property to split the existing water utilities costs without making changes to the mains supply. The landlord, however, must consider whether they have full confidence in their property’s pipework. The existing system may not cope with the increased demands on the water supply of two tenants. How old is the property? If it was built before 1970 then it may have lead pipes. If the pipes are lead, this is a clear indicator of the pipework being old, and therefore less likely to be reliable. There are also health issues associated with lead pipes, which, as a responsible landlord, should concern you. What if the water pressure cannot cope with the increased demand once you’ve converted the property for two or more tenants? This may affect your ability to attract or retain tenants. There is also the issue of ongoing maintenance: old pipework could be a near-constant drain on your resources, should you need to keep getting it inspected and repaired. If you’re investing in property, why not also invest in ensuring its utilities are up to date? You want a good return on your investment – the rental value of your property minus the monthly cost of your buy-to-let mortgage – so protect its value. Invest in your property conversion by getting a replacement water mains, and help to maximise your rental value. Act now for your property investment by contacting Pipeline Services. Is it Against the Law to Have Lead Water Pipes? Author PSPublished on March 5, 2018 May 24, 2018 Leave a comment on Is it Against the Law to Have Lead Water Pipes? This is a question people have asked because they’ve discovered that their properties have still got old lead supply pipes and, as we know, lead is poisonous. Lead is bad for drinking water, so you wouldn’t expect to use it nowadays for pipework, but, in the end, it comes down to making a choice. You can choose to replace your lead pipework, but it is your responsibility. Why Have Replacement Water Pipes? No houses that have been built, or modernised, since 1970 should have lead pipework, but replacing them is not a legal requirement. However, if you’re modernising your home, or if you just want a safe, reliable water supply, then replacement water pipes are a must-have. Old pipework may just be storing up problems for later. Not only is there the risk of contaminated drinking water, but older pipes are more prone to deterioration and damage. They may already be affecting the efficiency of your water flow, meaning that you have persistently inadequate water pressure. Also, think of it this way: should you decide to refurbish or re-fit your bathroom or kitchen, many modern appliances, including state-of-the-art combi boilers, depend on a certain level of water pressure to function effectively. It can be that older pipework has an insufficient diameter to be able to meet this kind of demand. It’s about covering all the bases then. If you choose to modernise or upgrade your home, looking after the external things will only get you so far, if your lead water pipes are letting you down. Think of replacement water pipes as an investment in the future, and one that will make your life more comfortable right now. You may already be experiencing symptoms suggesting your pipes need replacing. These include: noisy pipes, cloudy water, low pressure a lot of the time, or, if you’ve got leaking pipes, damp patches in your home. You can do your own checking for lead pipework. Look at the supply pipe running either beneath or behind your kitchen sink. If it appears soft in texture, or dull in colour, or if when you scratch its surface gently you see a silvery layer, then it’s made of lead. If this is the case, then don’t hesitate to contact us. We’ll replace your old, lead pipework with state-of-the-art plastic pipes, and with the minimum of fuss using our trenchless technology. Published on March 5, 2018 May 24, 2018 Author PSCategories Lead Pipe Replacement, Replacement Water Pipes, Water Mains ReplacementLeave a comment on Is it Against the Law to Have Lead Water Pipes? Modern combi gas boilers are very efficient, providing state-of-the art technology for heating and hot water. However, they require a certain level of consistent water pressure to operate effectively. You may find, should you choose a combi boiler, that your existing pipework is, in fact, too old to cope with your new boiler. This when you must then consider water mains replacement as your best option. In your mains network, the pressure of the water may change. Typically, this is due to the amount of people using it at any one time; so, at times of greatest demand you may find your water pressure drops, affecting the flow in your home. However, it can also be the case that the diameter of your supply pipe is restricting what the maximum amount of water it can carry. Combi boilers require a minimum amount of pressure to function properly, at least 1 bar; whereas older boilers can work at pressures as low as 0.5 bar. Older pipes tend to have a narrower diameter, and the older the pipework, the more prone to deterioration it is, narrowing it further. How can you tell if your pipes are affecting your water flow? You might find you can only run one hot tap at a time, or that if you run a cold tap at the same time as a hot one elsewhere in your home it restricts the flow. And note the difference: yes, pressure can vary throughout the day, but if yours is persistently low, you need to look at it. We can inspect your pipework to see how old it is, and whether this is impacting on your boiler’s performance. If this is the case, we would then recommend you have a water mains replacement. Luckily, with modern technology at our disposal, this doesn’t need to be messy, drawn out, or complicated. Using impact moling techniques, we’ll drill strategic holes to then drag replacement, plastic pipework into place. Once we reconnect you, you’ll have a consistently reliable, new main pipe. This should then ensure that your combi boiler runs to its maximum efficiency. Want to know more? Act now to upgrade your pipework by contacting Pipeline Services. Is the Noise from Your Pipes Telling You Something? Author PSPublished on January 3, 2018 May 24, 2018 Leave a comment on Is the Noise from Your Pipes Telling You Something? When there’s something wrong with the pipes in your home, you can sometimes hear it. Typically, you wouldn’t expect your water pipes to be noisy, but if they are, it can be quite alarming. What does it mean if you can hear the sound of water in your pipes all the time, even when you’re not running a tap? It could be the sign of something serious, which might then mean getting a replacement water mains. Imagine what you’re hearing isn’t the sound of running water, but nor is it a hiss. It’s a kind of hollow sound, as if you had a tap half turned on. You can’t see anything’s wrong – there’s no damp patch anywhere, or other water damage. But still, the sound is there, all of the time. You might try turning your taps on and off, systematically, throughout your house. You might also try turning the mains supply on and off. You could even try tracing your pipe network from the boiler to your kitchen. The thing is, wherever you find a pipe, you can hear that noise. Your house is old, built many decades before 1970, with old pipework to match – you even think some of it might be made of lead (you’ve been meaning to get that looked at for ages, before the noises started). You could try taking up the floorboards to try and find out what the source of the problem is, or you could dig excavation holes outside, in your garden. But that’s a lot of work, disruption and mess. And you still might not find out what’s causing the noise in your pipes – or even know what it is if you find it. You could just try and put up with it, but that’s not the answer, because it sounds like it means something’s wrong. If this is correct, then somewhere along the line it’ll get worse. The solution? Call in the experts. We’ll diagnose your pipeline problem and see what you need doing, including, potentially, replacement water mains work. Old pipes wear out, and are susceptible to damage and narrowing of their diameter. This in turn, eventually affects the quality of your water pressure. Don’t delay until it gets any worse, contact us today and see what Pipeline Services can do for you. Published on January 3, 2018 May 24, 2018 Author PSCategories Lead Pipe Replacement, Replacement Water Pipes, Water Mains ReplacementLeave a comment on Is the Noise from Your Pipes Telling You Something?